We’ve talked about AndroidLoader before, the jailbreak tweak that replicates the way Android lets you see all your apps on one single page. Today the app got a major update making the it more appealing than ever. While AndroidLoader looks good, I can already see two reasons why I wouldn’t personally use it. For one, it relies on my nemesis: Winterboard. 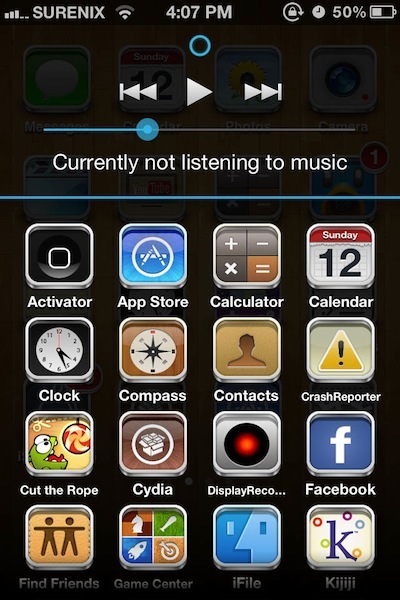 But more importantly, it would get in the way of my new favorite jailbreak tweak: Zephyr. Of course, this is just me expressing my concerns, and depending on your iPhone set up and usage, you might feel different about AndroidLoader. If you do, and assuming you haven’t already purchased the tweak when it first came out, make sure to have a look at it. Version 1.2 is available from the ModMyi repo for $2.99. UPDATE: Surenix, the developer of AndroidLoader, tells me the app has been updated and isn’t dependent of WinterBoard anymore. Yay!